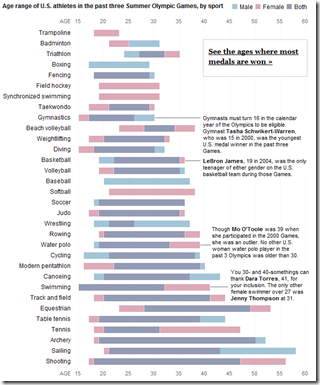 3 Responses to Are You Too Old for the Olympics? The outliers make the 1st chart misleading. A box plot would have been much more informative. Though having a separate male/female boxplot overlapping might have its own visual challenges. 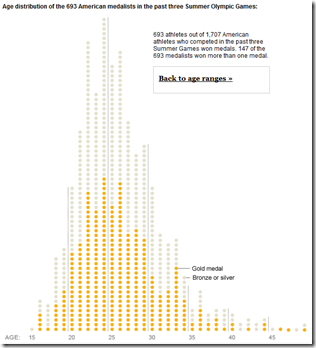 In second graph, how does one get relative conclusion out of only absolute numbers of medals? ranges are useless. medians would actually convey information. somebody wasted a lot of time on the first graph.